Though the details are slim, club-loving OVO associate ILOVEMAKONNEN is putting work into a debut album that will apparently feature guest spots from Drake, Rihanna, Snoop Dogg and more. The rapper dished out a few specifics on the project while speaking with MTV News at the Grammys, noting the as-yet-untitled studio album is on the way sometime in June or July. Though a street date has yet to be locked down, industry norms suggest the record will arrive, most appropriately, on a "Tuesday." The red carpet Q&A also yielded some info on the album's guest list, with ILOVEMAKONNEN noting he plans to have Diplo, Skrillex, Snoop Dogg, Drake and Rihanna popping up throughout the LP. Of the latter, ILOVEMAKONNEN confirmed he hadn't quite stepped into a studio with RiRi yet, adding: "We're just working on some ideas, and stuff, but it's going to happen in due time." 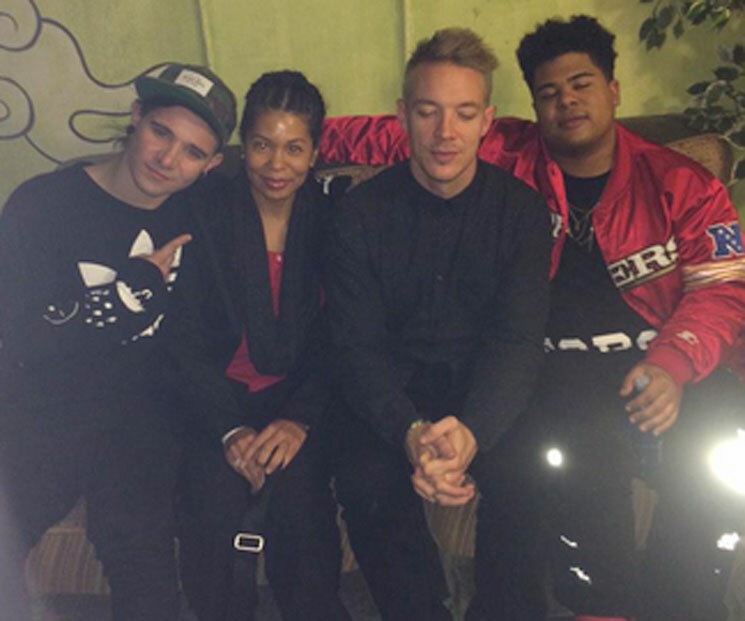 In addition to the album news, ILOVEMAKONNEN said he's currently booking a spring tour. Dates for the trip are forthcoming. You can watch the quick interview down below.